First-time buyers and borrowers with credit challenges, moderate income and minimal funds rely heavily on the Federal Housing Administration for mortgage approval. The FHA insures loans that might otherwise be rejected under conventional loan standards. Its mortgage approval process involves a third-party lender and an appraisal inspection of the property. Lenders can approve loans directly for the agency or send the loan to the FHA for approval. The FHA insures approved lenders against losses. Banks, credit unions and mortgage companies may participate in the origination and servicing of FHA-insured loans after completing a screening process with the Department of Housing and Urban Development, which oversees the FHA. Approved lenders may accept loan applications, underwrite and fund loans based on the FHA's underwriting guidelines and their own set of standards. Lender overlays, as they are known, are more strict than the FHA's benchmark standards and vary by lender. 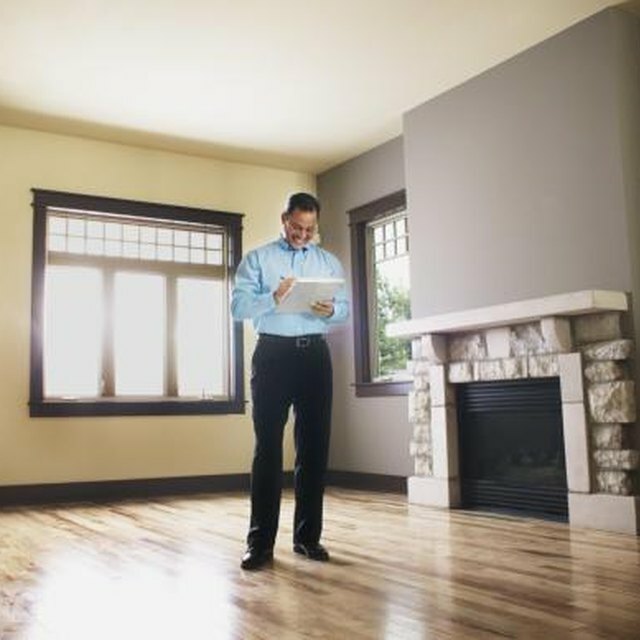 The FHA relies on HUD-approved appraisers to conduct interior and exterior inspections of homes. The property, as well as the buyer, must meet the agency's minimum standards for insurance. The appraiser, who gains prior approval from HUD, is contracted by the FHA lender. He checks the property for health and safety hazards and structural defects; determines a fair market value for the home based on comparable sales near the home; and makes recommendations for further inspection or repairs to bring the home up to standard when needed. The loan underwriting process involves a thorough review of credit, income, employment and asset documentation. The lender approves a certain loan amount and loan type based on your ability to meet FHA's and its own requirements. For example, the FHA requires a minimum 580 score to qualify for its 3.5 percent down payment; however, some lenders require a minimum 640 score. If you meet the lender's requirement, it can offer you an approval and send the loan to FHA for insurance endorsement. What If You Get a Terrible FHA Home Appraisal? Certain loans are subject to additional scrutiny due to their elevated level of risk. For example, the FHA requires that condominiums undergo an additional approval process for the homeowners association. HOAs must have prior HUD approval, which is subject to an expiration, and based on the project's financial viability, number of owner-occupants and other factors. Homes in need of repair through the FHA's rehabilitation loan must undergo an additional approval process. FHA-approved inspectors determine the extent of work needed and the cost. The lender makes the loan based on a loan amount for the purchase or refinance, plus the cost of needed repairs.